• Bay views at an affordable price! 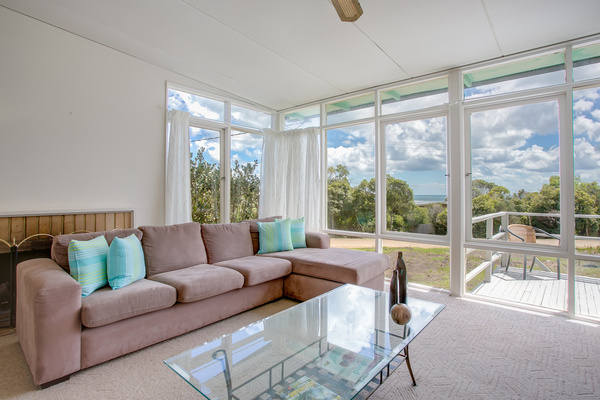 With views of the bay from the lounge and 2 bedrooms, it won't take long for you to kick back and relax at this quintessential a/c beach shack for up to 8 guests. Just a 350m walk to the beach or 20 minute stroll to the Dromana shopping strip, you will be perfectly located to explore the peninsula. 3 bedrooms: queen, double, and single bunks, sleeping 8. Back deck with BBQ area. Situated in a quiet street. 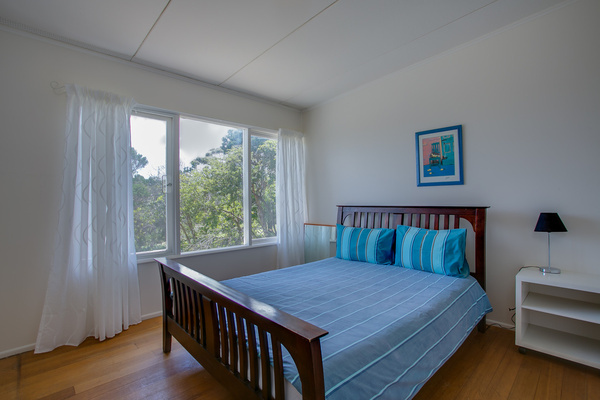 Super budget accommodation for 1 or 2 families or adult groups aged 25+ years. Long Weekends: minimum 3 night stay. Tariffs include up to 8 guests, with BYO Top & Bottom Sheets, Pillowcases and Teatowels.